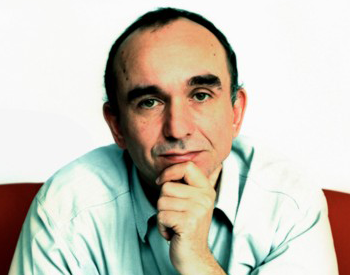 Say what you will about Peter Molyneux's ability to match vision to words--an ability that's shot up considerably in my estimation post-Fable 2--he's always a fascinating read. Case in point, Gameindustry.biz is running a multi-part interview with Molyneux on his experiences at the Leipzig game show (Peter's right, it is--or was, until it essentially migrated to Cologne--the best show in the world, much more so than E3 if you care about brain stuff more than eye stuff), PR handlers, Microsoft's controller-free motion-sensing Project Natal, first- and third-party responsibilities, and Dexter (the Showtime serial-killer-as-antihero TV series). Britain was one of the places that had a fantastic consumer show, we had this show and I can remember going along there in the Populous days. It was just brilliant, absolutely amazing - but those were the days you didn't have any PR police forces following you around, and it was great to go and experiment on ideas with these consumers. Brilliant. With all respect to my hundreds of PR contacts who get paid to do what they do, and who won't bite the hand that feeds their families and puts their kids through school, something's amiss when those "relations" end up being about more than strictly facilitating (as opposed to "massaging," "restraining," or |administering") professional dialogue. If a game's creative lead can't work out what's appropriate or not to talk about in conjunction with the publisher beforehand, there's a basic job skill that's been sorely overlooked. These days, if I want a chat with someone like Peter Molyneux or John Carmack, there's a PR handler minding the whole process, tip to toe. If it's a written interview, responses are redacted to ensure the answers represent the company and/or its projects in the best possible light. If it's a phone interview, PR will set one and sometimes as many as four persons to hang on the phone, monitoring everything that passes over the wire. If I ask a question a PR handler considers out of order, they'll hastily interrupt the interview and scold: "We're not answering that question." If an outlet won't accept a company's PR ground rules, the company just takes its "message" somewhere that will. And since so many are happy to pass that message along unchecked, there's little incentive for PR to be intellectually competitive in the way of spontaneity and/or probing beneath the veneer of endlessly echoed "talking points." To be fair, PR reluctance to prop the door open then stand aside owes as much to lazy media "reporting" that scours information for sensational nuggets, strips them of context, then creates wild (and wildly tangential) headlines. John Carmack spends 30 minutes talking about developmental issues relating to id Software's next major game engine but all anyone covers is the fact that he made a passing remark about who'll be first off the block in the next round of consoles. That's not a story--it's not even frankly worthy of gossip--but it's an easy buzz-line that generates bazillions of curiosity clicks.